UPSESSB Result 2019: Below are the latest results published by UPSESSB - U.P. 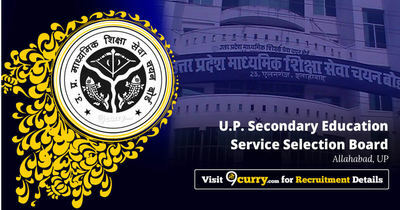 Secondary Education Service Selection Board / www.upsessb.org. The recent result announced by the organization is TGT Final Result 2019. UPSESSB TGT Final Result 2019: U.P. Secondary Education Service Selection Board has announced the Result on 11 Apr 2019 for UPSESSB TGT Final Exam 2019 . UPSESSB TGT/PGT 2011 Final Result 2019: U.P. Secondary Education Service Selection Board has announced the Result on 08 Apr 2019 for the exam . UPSESSB Panel (Social Science) Result 2019: U.P. Secondary Education Service Selection Board has announced the Result on 28 Mar 2019 for the exam . UPSESSB TGT / PGT Result 2011: U.P. Secondary Education Service Selection Board has announced the Result on 02 Aug 2018 for the exam . UPSESSB TGT | PGT 2011 Result 2018: U.P. Secondary Education Service Selection Board has announced the Result on 29 Jun 2018 for TGT | PGT Interview 2018 .